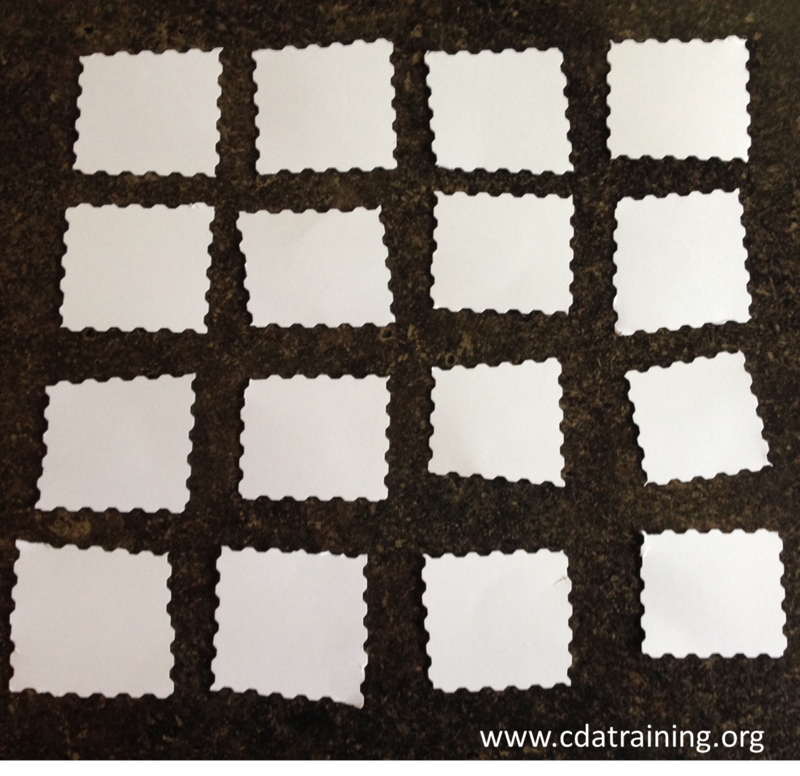 Cut out squares of thick paper. 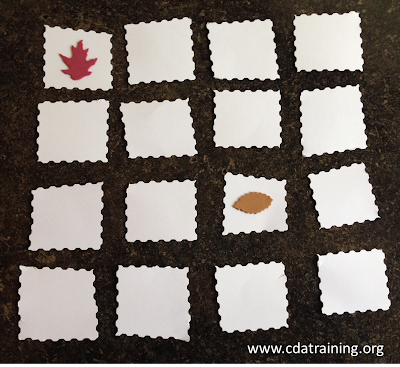 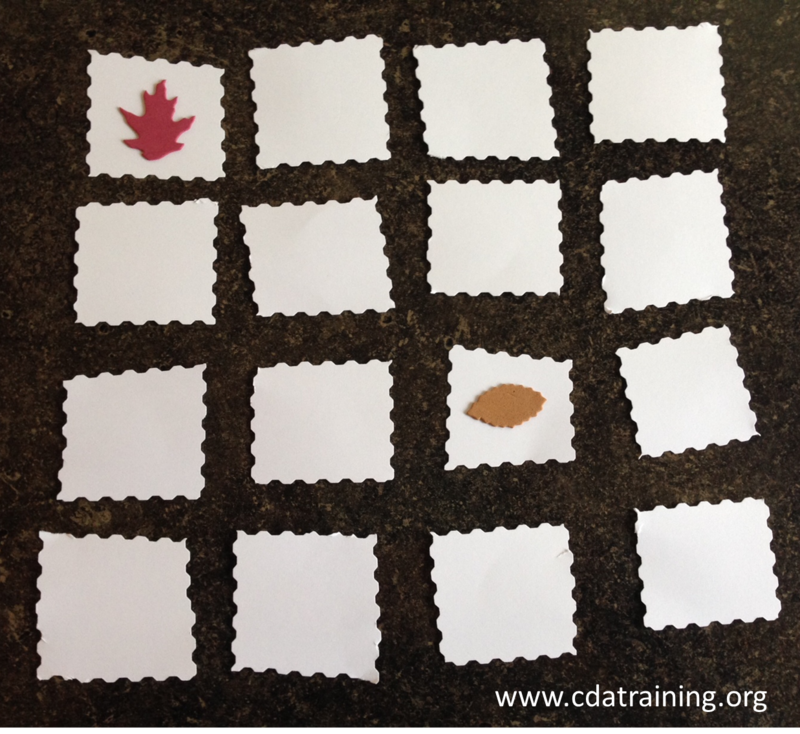 Add leaf stickers or glue leaf pictures to the squares of paper. 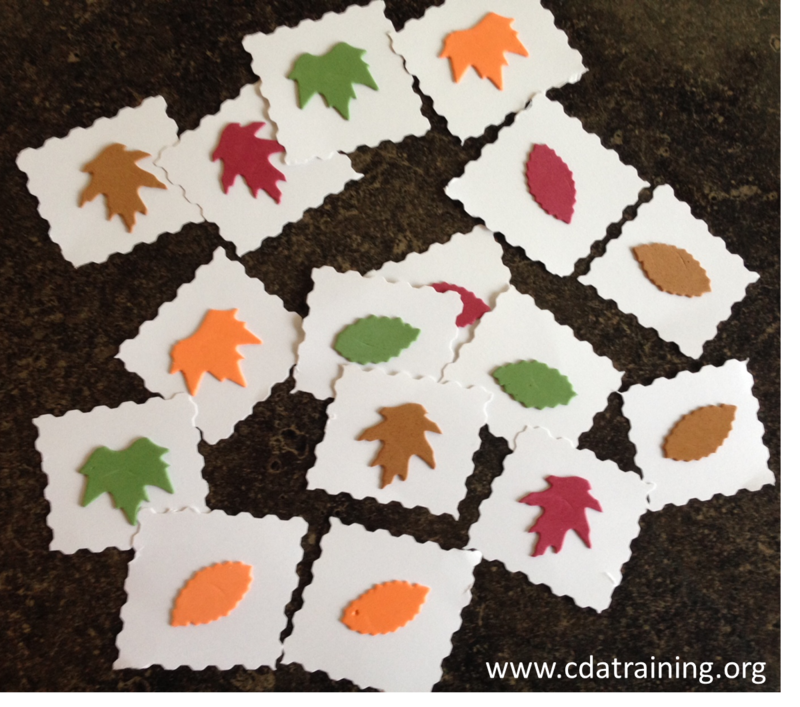 Make sure that you have two kinds of each leaf. Turn all the paper squares face side down to play a memory game. Encourage the children to take turns flipping two leaves over trying to match two of the same.